Regular readers of Listen to Lena will remember my “Reno-Cation” of 2011, when I overhauled my home – making small changes with lasting effects. In addition to painting, redecorating and de-cluttering rooms, I was fortunate to be able to upgrade our kitchen faucet to a Delta Addison Single Handle Pull-Down Kitchen Faucet Featuring Touch2O Technology. Of course, just as soon as the kitchen faucet was installed, I found myself wishing they made one for the bathroom as well. As a certified germophobe, I have a HUGE problem with touching taps, mangy hand towels, etc… even in my own home. Plus, with our recent transition from tots to hand washing toddlers, I constantly worry if the water temperature is too warm… if the kids will make a mess of the sink… and in Ryder’s case, if he’ll remember to turn off the faucet. The Delta lavatory faucets employ the same technology as their kitchen counterparts – touch on, touch off with ease! – PLUS an extra technology for an entirely hands-free experience. The technology enables the user to use the faucet in THREE different ways: utilizing the hands-free mode where the entire faucet acts as a sensor; utilizing the Touch2O tap functionality – tap anywhere on the spout or handle to turn the faucet on; or the faucet can be operated manually with the handle. What does this mean to you? THREE times the convenience, water conservation, and in the case of toddlers – FUN! It’s a well-known fact that anytime we can offer up a giggle-moment to wee ones, they’re more likely to engage in mundane routines – in this case, tooth brushing and hand washing. Ryder simply loves activating the Touch2O Technology with a quick thump, and I have peace of mind knowing that the water temperature, flow and even duration (auto shut-off after a minute, baby!) is all within my control…. 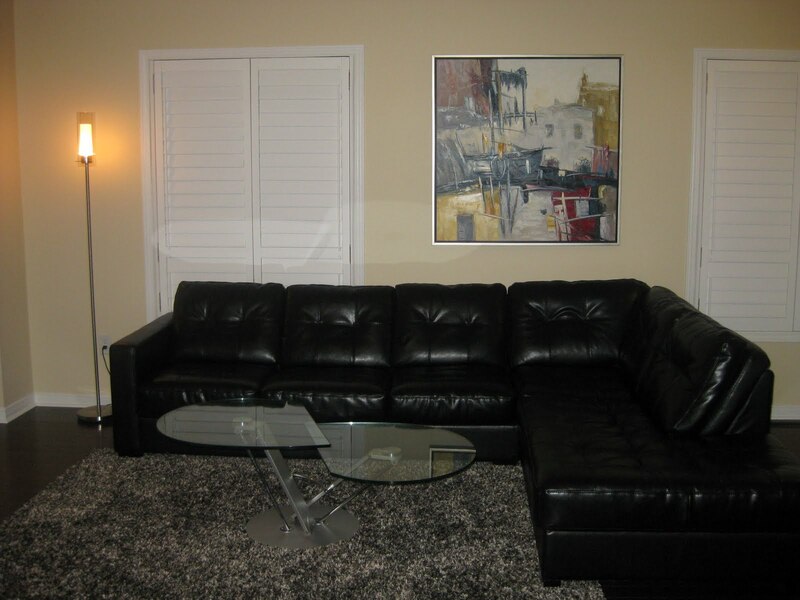 If you live in the Greater Toronto Area (GTA) you’re in luck – serious style can be yours at seriously amazing prices. Yes, I’m writing about Urban Barn again, but I love the stuff, k? Last week, I popped into the Urban Barn clearance outlet in Scarborough (430 Progress Avenue). We don’t usually venture out east, but we had about a million errands to run that spanned the entire city, so decided to pop in for a quick look. The clearance outlet is advertised as “Massive Savings… Small Imperfections” – but in addition to slightly damaged merchandise, you can also grab absolutely perfect stock that has been moved from their regular stores for final clearance at the outlet. At the store, we did see a few drool-worthy pieces that had a small nick or two, but I just couldn’t live with the imperfections :( Alas, I’m the type of person who would rather spend full price and then go over the merchandise with a fine-toothed comb to make sure it’s flawless (yes, I’m one of THOSE customers). Anyhoo, I’m happy to say that I scored a few items at ridiculously low prices. First, while I wasn’t necessarily looking for a new duvet set, I couldn’t resist this simple, modern pattern called “LAUREN”. There are many things in life that make me happy. An Urban Barn sale generally hovers near the top of that list. Click here to view all products on promotion. So, “wall” are you waiting for? The incurable re-decorator strikes again! And while I assumed I’d taken care of the re-decorating bug for good, there was just one little area that was begging for a redo: our sitting room. Okay it’s technically not a room. And I can’t actually remember the last time somebody sat there. But it’s a little area off to the side of our living room, and it basically only exists because the room is so long that it requires more furniture to look balanced. The problem was the über blahness of the area. Vanilla walls, vanilla leather chairs and a very vanilla feeling overall. One could literally become comatose if one stared at it too long. Blah. 1) Do you wax, pluck or thread your eyebrows? 2) Can you please send me the link for your Spiced Pear Cake? 3) Where can I find affordable – and stylish – kids decor in Canada? While the first two questions are very easily answered, I’ve always struggled with the third. Truth is, it’s not hard to find affordable kids decor in Canada; if you’re looking for bright basics and uninspired styling, just about any major retailer will have you covered. But what about contemporary design? Bold prints and bright patterns? Adorable that borders on edgy? Sure, a certain Swedish furniture giant usually gets it right, but the fact is, locations can be hard to come by for Canadians – and I don’t recommend driving 2 hours to pick up a $6.99 “KUSINER” box. And so from the team of designers at Joe Fresh (squee! ), introducing Jump Kids World – a line of decor, furniture and accessories that give kids a chance to design their own lives. From Decor Hooks to Animal Storage Cubes, Interlocking Mats to Character Hooded Towels, there are over 60 new pieces that will take your child’s living spaces from drab to fab in moments – at incredibly, ridiculously, too-good-to-be-true affordable prices…. You know how multiple sources predicted the demise of Kim Kardashian’s marriage to whats-his-name? Sure, I would have taken that bet. Another sure thing? Spring 2012’s “it” colour – Tangerine. Far and wide declared the hottest hue for the upcoming season, vivid bursts of the fiery colour have been seen everywhere from the runway to home decor. 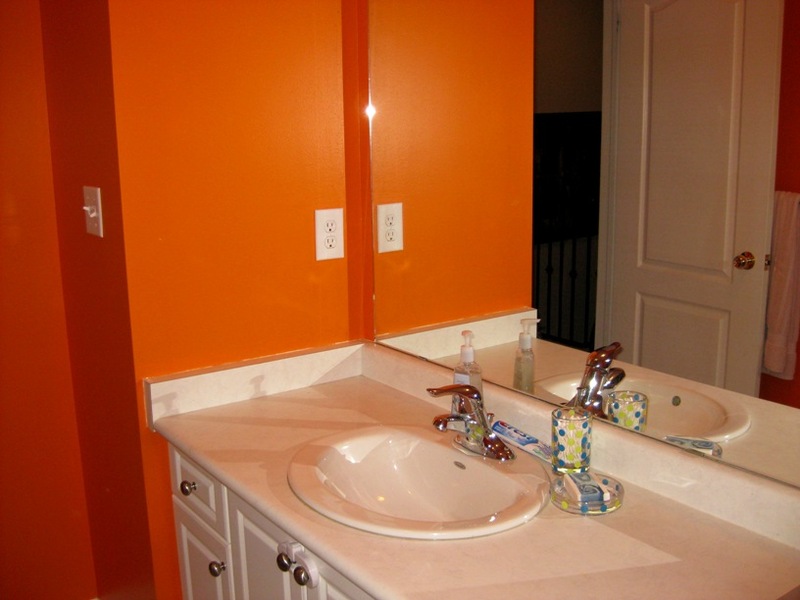 In fact, Pantone named “Tangerine Tango” the 2012 Color of the Year. Fish Hotel Fishbowl ($35): Give your pet fish a life of luxury with this palatial fishbowl. Loves it! Ryder has been begging for a little fishy friend and I was sitting on the fence – mainly because I hate the look of traditional fishbowls. But I think this one will make the cut! And stay tuned for more #ProjectLivingRoom chat! After a month-long Reno-cation earlier this year, you’d think I would be done messing around with my home. Right? Riiight? Wrong. I am an incurable redecorator, and I’m not going to apologize for it…. Note: The following giveaway is open to US and Canadian residents. A home reno would not be complete without some fabulous pieces from MTF Price Matters. Not only do they have a huge selection of discounted merchandise for the entire home, they’ve also got some pretty sweet deals on hard-to-find items! And when the company heard about my recent Reno-cation, they generously sent over a few fabulous products for my home, including a Hampton Forge Knife 8 Piece Set and this Fujifilm Finepix XP15! In fact, many of the Reno-cation before/after pictures were taken with this awesome camera. The Finepix XP15 is currently listed on Price Matters’ website for $103.99 – that’s a savings of $86! Q: The prices are SO low! Is the stuff legit? A: All of the merchandise at MTF Price Matters is 100% authentic. They simply do not do knock-offs. So you can take the low, low prices at face value – they’re awesome deals, plain and simple! Q: I’m wary of online shopping. What if I have a problem? A: Their customer service is ridiculously good. Like, the best service I’ve ever received when purchasing online. So don’t be afraid to give them a shout with questions, concerns or feedback (EST customers keep in mind they’re located in BC – so mind the time difference). Q: The sunglasses I saw yesterday are gone! What happened? A: Inventory is constantly being updated – and the best deals sell out quickly – so check back often. A: If you happen to live out west, check out their Pay N’ Pick Up service – you can save on shipping by picking up your purchases at any one of their twelve (12) locations. They ship anywhere in North America – US customers, welcome! Q: I’ve heard the shipping costs are high. A: Not so! MTF Price Matters is pleased to introduce $15 flat shipping on all Canadian orders! That’s right – load up as much (or as little) into your cart and you’ll always pay a low flat fee. Sodastream Genesis Home Drinks Maker – I’m obsessed with this machine! “Help reduce the effect on the environment by using tap water and creating an exciting range of sparkling soft drinks in your own home. Its fun for you, your family and friends and kind to the planet too.” I’ve seen it retail for over $200 – here, just $144.49! Ladies Original Fit BootCut 7 For All Mankind Jeans – Price Matters always has the BEST deals on designer denim! “The classic medium blue wash is whiskered and slightly faded through the rear and thigh with subtle abrasion and distress.” And, at a HOT price of just $59.99! Shop online 24/7 at PriceMatters.ca. Remember: inventory is constantly being updated and items are available in limited quantities. So when you see a great deal, grab it! Now you can enjoy the finest homemade frozen treats – at home! The Cuisinart Frozen Yogurt, Ice Cream & Sorbet Maker lets you make your favorites in approximately 20 minutes, with no fuss and no mess. Just add ingredients to the freezer bowl, press ON and the machine does the rest! To enter, visit MTF Price Matters and choose three (3) products that you think would be perfect in your home (or on yourself!) Then, leave a comment here telling us about them. (1) Follow my blog, Listen to Lena! (6) Tweet daily: Please use this MTF Price Matters Giveaway Tweet. I’ll draw for a winner on June 30th. Good luck everybody! For those who have been following my Reno-cation, it may have crossed your mind, “What about the kitchen?” Truth is, we don’t really need an upgrade, because it’s pretty awesome as is. However, we did require a) a back splash, which is still in the works, and b) a new showpiece kitchen faucet. See that sorry looking faucet? What can I say – builder’s specialty. We’ve made do with it for almost four years now, but it’s constantly a sore spot with my husband, who believes a gorgeous island deserves a stunning showpiece faucet. And that’s where my good friends at Delta Faucet come in. Introducing the new Addison Single Handle Pull-Down Kitchen Faucet Featuring Touch2O Technology. A long title for a pretty simple concept: the most kick a** kitchen faucet ever. 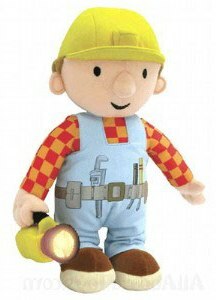 I am pleased to say that I completed 90% of the installation of this faucet myself; after reading through the instructions and putting the parts together, I only needed a friend’s help to connect to the pipes under the sink. And now, I can’t believe how my kitchen has come alive! It is truly a “showpiece” – it wouldn’t be a stretch to consider the faucet a piece of art. To tell the truth, for about two weeks after it was installed, I would catch myself just staring at the clean, fluid lines with unconcealed admiration. It is THAT gorgeous. We chose the Chrome finish, but it is also available in Stainless Steel and Venetian Bronze. So just what is Touch2O Technology? Simply put, Touch2O technology allows water to be turned on and off with just a touch anywhere along the spout or handle. You’ll save time (just keep the faucet at your perfect temperature), you’ll save money (no more running taps! It’s so simply to turn on/off, you’ll make it a habit to do so), and you’ll reduce the amount of germs and bacteria you’re exposed to, especially those that linger on faucet handles. I’d like to share with y’all my new and improved island… with the faucet in action! Delta Faucet offers a full range of kitchen and bath faucets. You can choose from classic or contemporary styling, and all of their products are designed with their commitment to sustainability in mind. And if you’re looking for a little design inspiration, do check out Beige is Dead, Masco Canada’s design and lifestyle blog. Here you’ll find decor inspiration and learn fun ways to inject colour and vibrancy. The faucet retails for $399.99 can be purchased at major Home Center/Hardware Stores across Canada. Click here to find a retailer in your area. To enter, simply visit Delta Faucet and find two more styles you love (kitchen or bath), in addition to the Addison faucet. Then leave a comment here telling us what they are. (6) Tweet daily about this giveaway: Please use this Delta Faucet Giveaway Tweet. Ta-da! I’m finally ready to start posting photos of my recent Reno-cation! I’ve decided to literally go from room to room – divulging details on what steps were taken, items I love, and where you can grab ’em. Then, don’t forget to tune in next month, when you’ll have a chance to win some of the goodies! Disclaimer: The rooms aren’t “finished”, per se. There are instances where I’d like to change a piece of furniture, add a new picture or photo frame, or eliminate a style element… but don’t have the time or finances to do so at the moment. However, on the whole I’m very pleased with the small changes we’ve made, and am happy to present you with our recent mini-makeovers. Since we’ve got four bedrooms and only two children, we have the benefit of having a home office upstairs. Pretty crucial when there’s a blogger in the house! Until recently, we used what the builder termed “Bedroom 4” as our study – its quite large and spacious, and we were able to create a work space, an area for me to scrapbook (a now defunct hobby – there’s just no time!) plus more than enough room for the kids to hang out so I can keep an eye on them. Trouble is, with Ryder growing and requiring more space for his personal effects, we felt it was time to move him into a “big boy’s room”. Before the move, he was in the bedroom beside our own, so having him relocate to the other side of the house has actually been tougher on mommy than him! As you can see, the garbage bag was FULL. See the blue storage bin full of books on the left? All chick lit, my friends. Time to put the works of Sophie Kinsella to sleep. I wanted Ryder’s room to be a happy, carefree place that would make him smile. His bright blue room is a far cry from the paint swatches I first considered – muted, mellow and “meh” colours. Somewhere along the way I decided to abandon what others would like… and paint for what Ryder would like! Great news – he LOVES his new room, and says goodnight to the Ludo sticker every night! The furniture certainly doesn’t fill the room, but once Reid outgrows his crib, it will convert to a double bed which will be Ryder’s to enjoy (Reid will inherit the toddler bed pictured above). So in a few short months, what looks like a huge bedroom will actually be balanced a little more effectively with the right mix of furniture. PARA Paints generously provided the paint for my entire home, and let me just say that I couldn’t be happier with the selection of colours and finishes. My father-in-law, who is a professional painter, commented that the paint (PARA’s Ultra latex interior) provided superior coverage with mess-free application. More on PARA Paints to come! Now the logical thing would be to show off the next bedroom in sequence, BUT, because I have two little boys, and because taking pictures is dependent on which area of the home is tidy at the moment, let’s skip to my main floor – where I’d like to introduce you to my new “Great Room”. Here’s the scoop: when we first purchased our home, we spent hours going over the floor plan, considering how to set up our domain. The builder had laid out the main floor as depicted on the right (note: foyer, powder room and garage not pictured). So without going against the proposed plan, we proceeded to set up four (4) distinct areas: a family room at the back of the house and a combined living/ dining/ entertainment area in the front of the house.Just in case you’re wondering… all the furniture was purchased literally weeks before I found out I was pregnant with Ryder (who was a most welcome surprise)… so brace yourself – you’ll see a lot of light-coloured furniture that is so telling of a couple who hasn’t considered the joys of sticky fingers and grape juice. Now having a home that is almost completely an open concept is both awesome and frustrating; awesome because the house looks large and modern – frustrating because all the furniture and décor has to complement each other and lend to a continuous “look”. Well, this July it will be four years in our home, and we finally came to realize that we spend exactly 99.9% of our time holed up at the back of the house in the family room, and 0.1% of our days in the blended living/dining/entertainment area. Which is all the more tragic considering what a colossal waste of space it is!So I finally decided to do something about it. 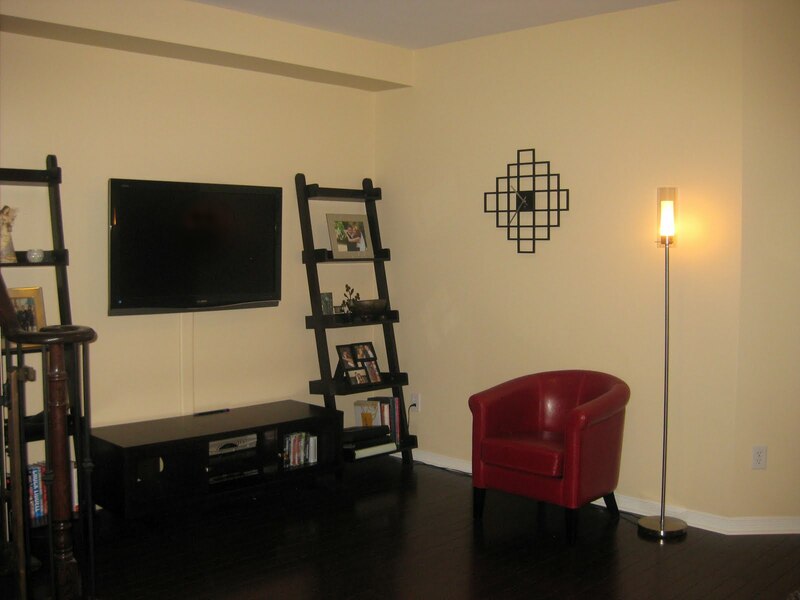 Instead of having three separate “rooms” upon entering our home, I relocated hubby’s bar to the basement, moved our dining furniture into the family room, and turned the front of the house into a Great Room – which is a much more intelligent use of space. 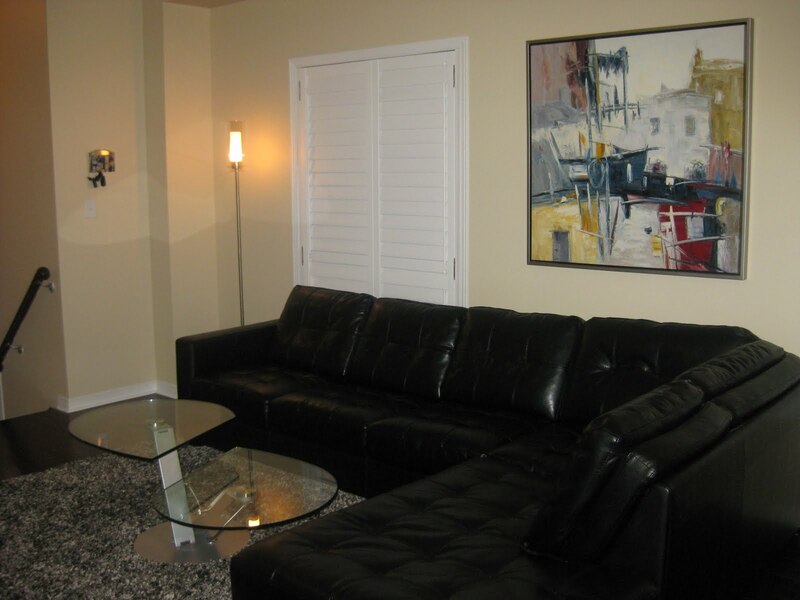 Since the area is quite large, let’s do the “Before” pictures in comparison to the “After” shots one room at a time. You may click to enlarge photos. AFTER – STILL THE GREAT ROOM! We love our new Great Room! And, we’re finally enjoying the awesome space in our home! I didn’t include pictures of the family-room-turned-dining-room because I’ll be posting about that separately later this week. Re: our paint colour choice, since all the rooms mesh together… plus all the way up the stairs and through the upper hallway (did I mention we have an open concept? sheesh) we couldn’t really afford to go too crazy. I chose a very safe mix between beige and taupe… but you’d be amazed at how different the colour looks in different lights! In natural light, it’s downright taupe; with our lighting at night (which has a strong golden hue) the paint tends to look almost a pale yellow (as in the photos above). Regardless, it’s the perfect colour to set off our dark furniture and hardwood, and blends seamlessly with our green kitchen (yes green – but trust me, it’s a nice green). The sectional was purchase from The Brick several moons ago but in our new room, we feel it takes on a contemporary (but timeless) look. I also wanted to point out this neat little gadget we picked up at Home Depot: since we live in a semi, it was virtually impossible to fish the wires through the concrete once we mounted our TV. So instead of leaving the wires hanging (yuck!) we found this nifty Flat Screen TV Cord Cover Kit to hide the unsightly cables. A bonus: it can be painted to blend with your wall! More Reno-cation wrap up to come! My Reno-cation wrap up continues! On to one of my favourite rooms – our master bedroom. My husband had just one teeny request: make it resemble a guest suite in Chicago’s W Hotel, where we had stayed during our engagement. Easy peasy, right? Ha! Aside from my beloved Urban Barn “Yoshi” bedroom set, my “before” look was sadly lacking inspiration. Choosing a paint colour for the room was simple – I had my heart set on a smoky purple. It had to have just enough lavender to be pretty, but with a healthy dose of grey for an edginess that hints at contemporary styling. In other words, very W Hotel. It took literally seconds for me to settle on Big Shot, #P5195-44. I’ve attached the paint chip here because I only had a chance to take pictures at night – and my camera’s flash pulled out too much gray from the walls, making it very hard to decipher the true colour. Now isn’t that the perfect smoky purple? It’s like PARA created it just for me! After Ryder had his little tumble off our bed, I decided to relocate the night tables for the time being – and was pleasantly surprised to see how well they work as side tables. The location of the sofa is perfect for lounging with a good book (and late morning sun), and is also practical for watching the tube (though we definitely prefer reclining on the bed to catch our favourite TV shows). To complement the green in my duvet cover I purchased fairly cheap lamps from Bouclairin a jazzy shade of fern green – but once in the room, they suddenly took on a very chic and contemporary feel. Shh… don’t say a word, but they were just under $15 each (they still appear on the website as $44.99 each but were definitely marked down in-store).I bought the abstract picture of New York City, also from Urban Barn, some time ago… but could never find the right home for it. Now, I’m so pleased with the way the wall colour sets off the vivid strokes in the painting. Perhaps New York W instead? All in all, we’re pretty much in love with our new bedroom. Although it may look a tad cool and impersonal, did I mention that we have the cuddliest duvet in the entire world? Lots of snuggle time! Just a few more rooms to go! Next up on my Reno-cation wrap up… it’s Reid’s room! I mentioned yesterday that Reid’s room would be coming up next, but last night, I had a clean dining room (which goes against nature when you’ve got babies) so I decided to take the opportunity to post a few photos. Who says you need to play by the builder’s rules? We raged against the blue print and created a space that works for our family. Yes, it’s the old switcharoo! Carrying on the theme of Nature’s Bounty from the rest of the main floor, the room designed by the builder to be a family room is now in fact my dining room. You’ll remember from a previous photo that my dining room used to be squeezed into the front area of the house. In this spot, it seldom saw use (we opted to eat at the kitchen table instead) and was just another fixture to dust. Even though I enjoyed having the family room so close to the kitchen, I find I do a lot less snacking now that my fridge is no longer in view of my couch! As you can see, just a little bit of paint does wonders to bring out the deco detailing in the chairs. I can’t deny that it’s nice to have such an airy, open space for dining… a bonus: we eat dinner at this table every night now! To give the dining room a less formal feel, and to keep me entertained while I cook, we tucked a 32-inch TV into the corner opposite the fireplace. So, not a crazy renovation, but one that suits our home and lifestyle. That just about finishes my wrap up on the first floor… except for the kitchen, where I made one small (but pretty awesome) change. You won’t want to miss it – review to come! a) It was orange before. Yes, orange. Like a bright, happy, Home Depot orange. b) I liked it orange. c) No one else liked it orange. 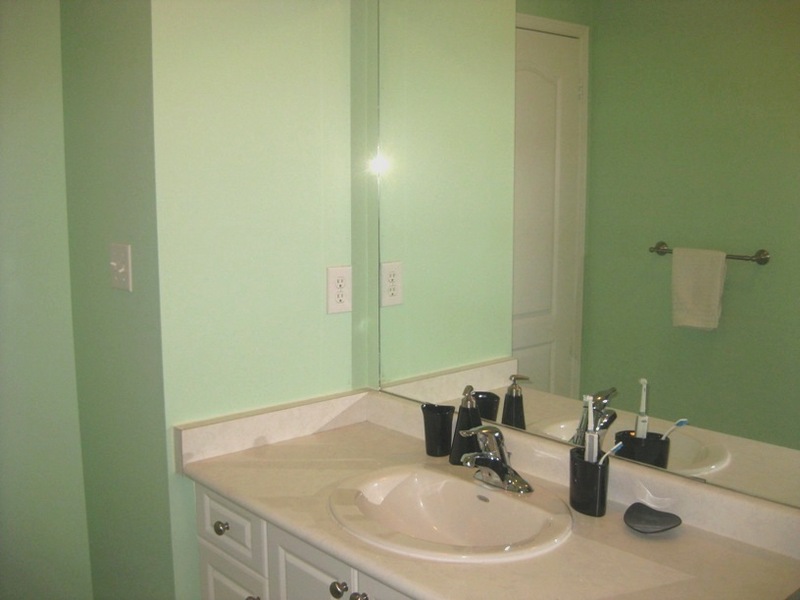 Now I’m not exactly sure what drove me to paint the main bathroom in such a vibrant shade, but it just screamed “Lena!”. For contrast, I used stripes and circles in blue, green and white. Alas, there was no middle road for this bathroom – visitors either loved it or hated it (curiously, those who vehemently disliked it were generally born before 1960. Just sayin’.) So when it came time for a reno-cation, I grudgingly agreed that it would be best to grab a more bathroomy colour from PARA Paints. A soothing mint green, anyone? Here’s another shade that can look slightly off in different lights. As you can see, the candlelight in the first shot makes the room look more bluish than green, but the second picture depicts what I believe to be the true colour – mint, pistachio, seafoam… whatever tickles your fancy. I picked up black Umbra accessories from Kitchen Stuff Plus (use this coupon to save 25% off one item until May 31st) and hung a framed photo depicting the vineyards of Sonoma, California. Only a few rooms to go! It’s Time for a Reno-Cation! It happens every spring without fail. The days get longer, the weather gets warmer, and I have the urge to renovate. A few years ago, I turned a spare bedroom into a playroom for Ryder. Last year, we finished our basement. And this year, with the recent trend of our friends buying/selling their homes, we even ventured out to a few open houses. Could we do it? Would we really take the plunge and buy a new house? Turns out, the answer is no. Now there are several reasons why we decided to stay put, but at the top of my list is the fact that I can’t find a home (in my price range) that I love as much as my own. Call it pride, call it stubbornness, call it whatever you want – I’m a creature of habit and I love my habitat. So I decided that instead of changing addresses, I would change my abode – I’m going on a RENO-CATION! As you know, paint can make a room come alive! When we first moved in 4 years ago, the builder told us to wait a year or two so the walls could “settle”. Well, with two kids magically arriving in the interim, we’ve never really gotten around to painting our home. So this is it – bye bye drab, hello FAB! I’ll be taking a reno-cation in the middle of April, so please be advised that I will be MIA for one week. But, I will try to check in from time to time to update y’all on our progress. I’ve got some pretty fantastic companies sponsoring my home makeover (including PARA Paints, a Canadian fave! ), so you know I’ll have to give them all a well-deserved shout out. Hope you like before and after photos! What about you? Now that spring has sprung, are you in the mood for a makeover? Simons.ca: FREE Shipping on ALL Purchases! Thanks to reader Vanda for the heads up on this sweet promo! If you love Simons as much as I do – but can’t make the trip to Montreal – this weekend, enjoy FREE shipping on all purchases at Simons.ca. Of course, the website inventory is only a fraction of what is available in-store, but there are still TONS of hot looks at even hotter prices! 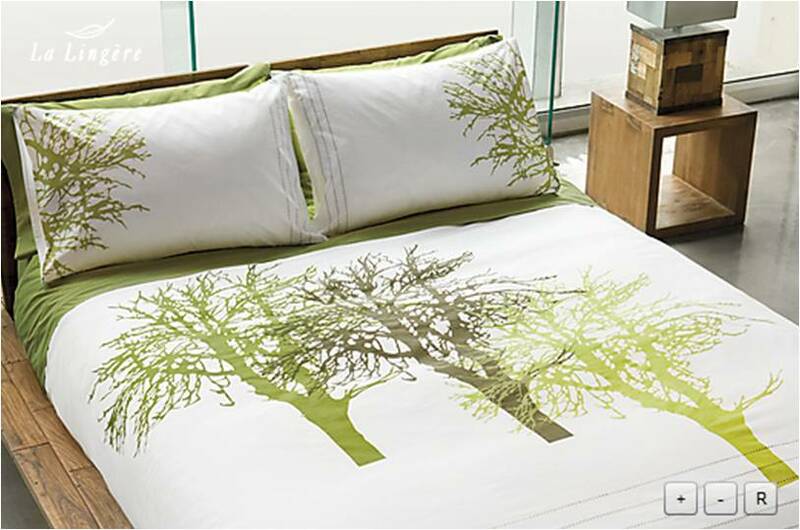 I couldn’t resist the “Trees in Silhouette” Duvet Cover Set pictured above – just $49.95 for a King Set, it saved me close to $200 (based on similar themes I had seen at Home Outfitters and Bed Bath & Beyond). It’s sooo W Hotel – love it! Click here to shop at Simons.ca. National Home Show… WIN Tickets Here! It’s no secret that I love to decorate… and re-decorate… and re-decorate. Every 6 months or so. The thing is, I’m constantly looking for inspiration, and somehow, seem to find it willingly. I love my new couch, duvet cover, kitchen table, etc… until a newer (more posh, more comfortable) model comes along. And then its days are numbered – say, 180 days. Or so. Therefore it’s no surprise that I’m a fixture at the National Home Show. An unfailing source of expert tips, trends and invaluable advice, it’s quite simply the best way to gather design ideas and inspiration. And with over 700 home and garden specialists offering low prices on home improvement products and services, it’s definitely the place to be for home owners and home owners-to-be. This year’s highlights include: Two incredible model homes, a man cave, the chance to meet and greet some of the most sought-after celebrity designers (including a live appearance by the design diva herself – Debbie Travis), as well as the chance to have your burning questions answered with advice from GTA’s top contractors and builders at Destination Renovation by RenoMark/BILD. The 2011 National Home Show runs from February 18th – 27th at the Direct Energy Centre in Toronto. And for the parents out there, I’d like to suggest the PERFECT way to spend Family Day (February 21st): presented by Rogers, it’s Family Day at the National Home Show! There will also be face painting, a clown, sports mascots and local athletes present! The other stage presentations will also be family-oriented: Jackie Morra, Decorating 101; Wendy Russell, Refresh your Home; Karl Lohnes, Rules of Decorating; and Megan Telpner, Fuel Your Life (Nutrition). The show is open from 10am to 9pm, and I am LOVING that kids 17 and under are free (regular child admission on other show days for ages 13-17 is $12 at the door). The complimentary daycare service, available for kids aged 2-10, is also only available on this day, supervised by The Network Childcare Services. I’ll be there with my brood on Family Day – look for the gal chatting up the folks at Umbra! For a complete schedule of events and show highlights, and to purchase advanced tickets and save $3, visit www.nationalhomeshow.com. Marketplace Events is pleased to offer five (5) lucky Listen to Lena! readers the chance to win a pair of tickets to the show! To enter, simply visit the website and then leave a comment here, telling us what you’re most excited about seeing/doing at the show. (6) You may Tweet daily. I’ll draw for five winners on February 16th. Good luck everybody! I should have just come clean at the time, but as you’ll soon find out (if you don’t already know), shopaholics tend to hide their purchases, so that it doesn’t seem like they’ve spent too much money on the same day. See? I’m blogging about this now, so it couldn’t have possibly cost a lot. Anyhoo, the same day that I bought the absolutely brilliant wall clock from Urban Barn, I also happened to come across these magnetic floral wall decorations. Inject some life into your walls with these fun and decorative wallflowers! Colour your walls happy with a bright kiwi or pink, or choose the more sophisticated flowers in black or white. Sold as a set of 25. Also by Umbra, the flowers were easily mounted with a magnetic pin, making for (almost) instant décor. With their fun and flirty design, I picked the white flowers to complement my newly pink master bathroom. Did I mention they were on sale? Yup, I grabbed them for just $25 (I reasoned that they would be a lot cheaper than a framed picture above the toilet). So last night, I went to work – and less than 10 minutes later, I had a whimsically beautiful spray above my ensuite tub, just reaching over an adjoining wall. Hip in a hurry, wouldn’t you say?